Everyday for the past several weeks, I've attempted to send out an Insider update. And, everyday for the past several weeks we've been on the move and it hasn't happened. Today is the day, and there is SO much to tell you! The flooring is complete. Administration, Circulation and the Teen Zone are moved home and back to full functionality. Bringing up the tail end of renovations are several painting touch-ups and remaining electrical projects. We will be adding additional lighting on the top floor. Additionally, we will continue to retro-fit the pendant lighting throughout the building. All of the shelving units have been moved and are in their final configurations. However, the books need a little bit of shifting so that they fit on the new shelving configuration evenly. 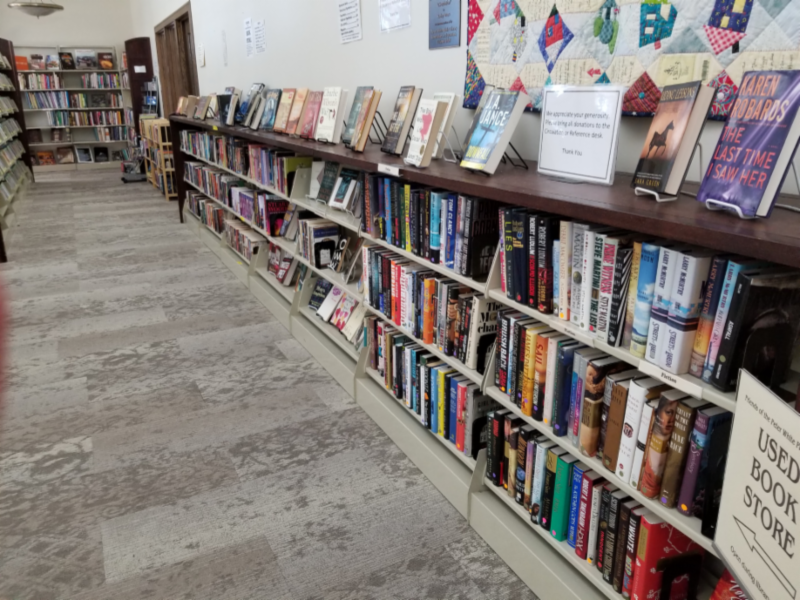 Over the next several weeks we will be shifting Non-Fiction (just the end), Fiction, Sci-Fiction and Graphic Novels (both teen and adult). If you're looking for the graphic novel collection, ask for help at the circulation desk! This collection is in a tricky temporary location. The final BIG piece of this project is elevator modernization. In order to ensure our elevator is good for years to come we are replacing everything but the cab! In elevator language this is called an elevator modernization. This project will take our elevator out of commission for at least two weeks. We are waiting to get a final timeline, but it looks like this work will begin in early March. During this time we will not have elevator access. Dates will be announced as soon as we have them. We know that our building is not accessible without the elevator. During the down time, we will be partnering with the Marquette Senior Center to provide off site material pickup. More details will be released soon. When will all of the renovations be done? The majority of this project will be done by the end of March. There are a few small pieces waiting for the warmer weather of summer. Just like spring, the project end is around the corner! The vending area is nearly ready for operation. Vending machines have arrived and will be stocked over the next several weeks. Oulanders will be providing cold sandwiches, pasta salad and other food items for one machine. 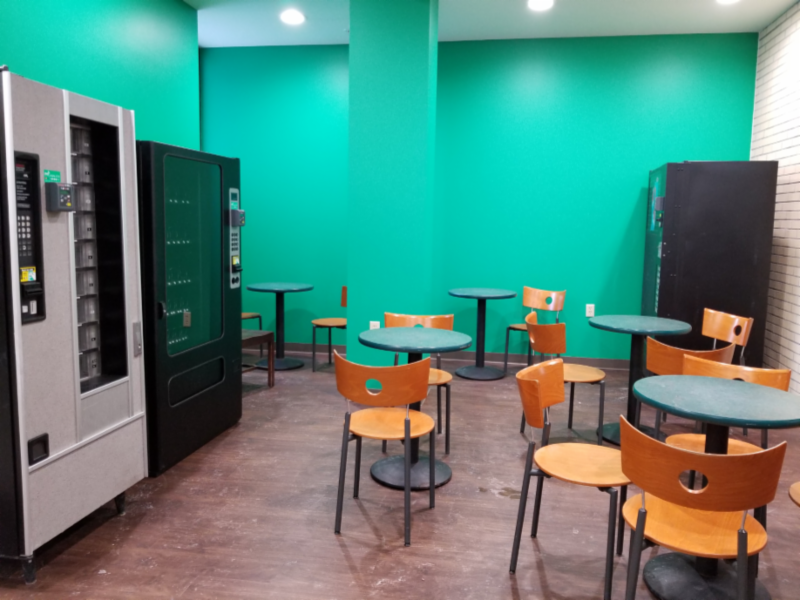 The snack and drink machines will be stocked with a mix of healthy (and not so healthy) snack items. We welcome any food/drink suggestions you may have! The computer lab on the top floor is getting a total makeover. 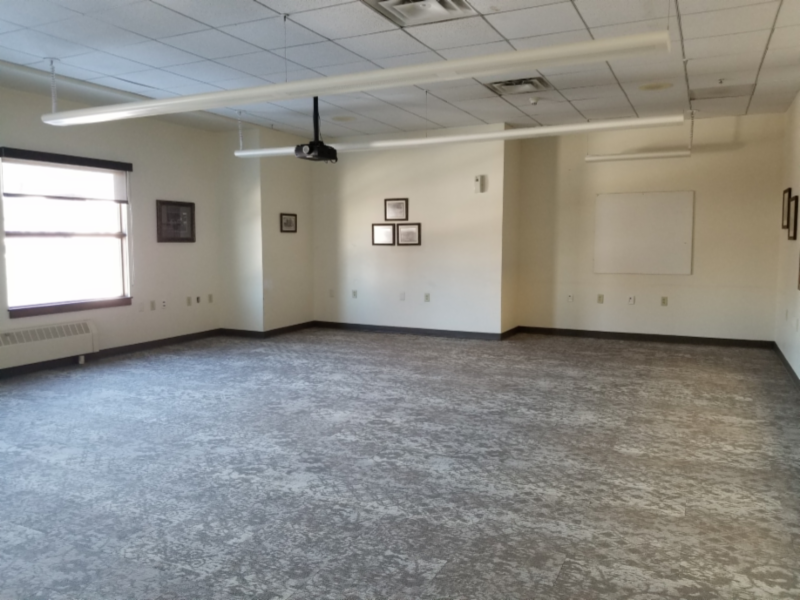 The library will be introducing our first (official) Local History Research Room! This room will feature several of our unique Local History collections. This room should be ready for use by the end of March. The Friends Bookstore will be permanently located on the main floor across from Circulation. This move should be complete by the end of March. We are working on a few logistical issues including stair grime. But we are thrilled to have this space occupied by our Friends! The store is temporarily located along the wall of the AV area. We are excited that Mike Potts, and his crew at Tamarack Builders will be helping us to reuse our boat desk. 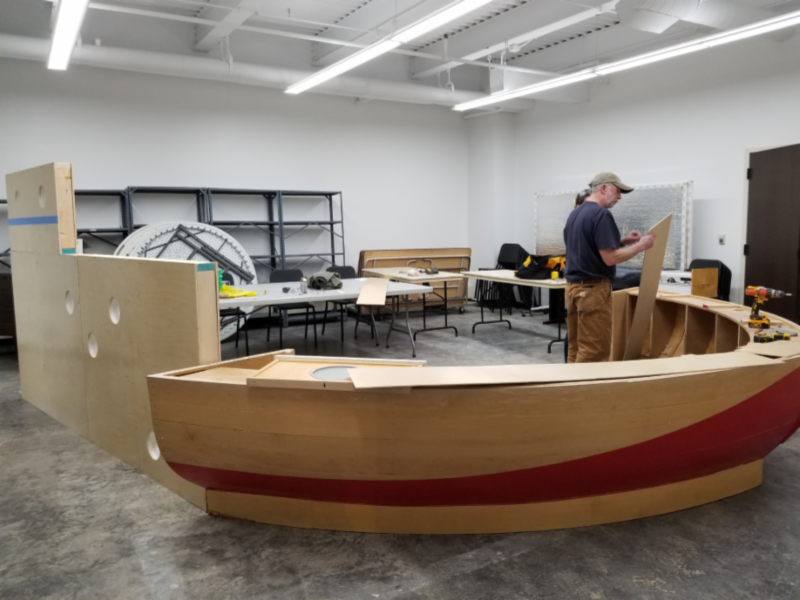 This structure will be located in the Youth Services play area and will include interactive nautical themed play. This project will be done by April 1, 2019. We have so much lovely artwork at the library. Many of the pieces were created by local artists or were inspired by the Upper Peninsula. During renovations we've had to take much of it off the walls. 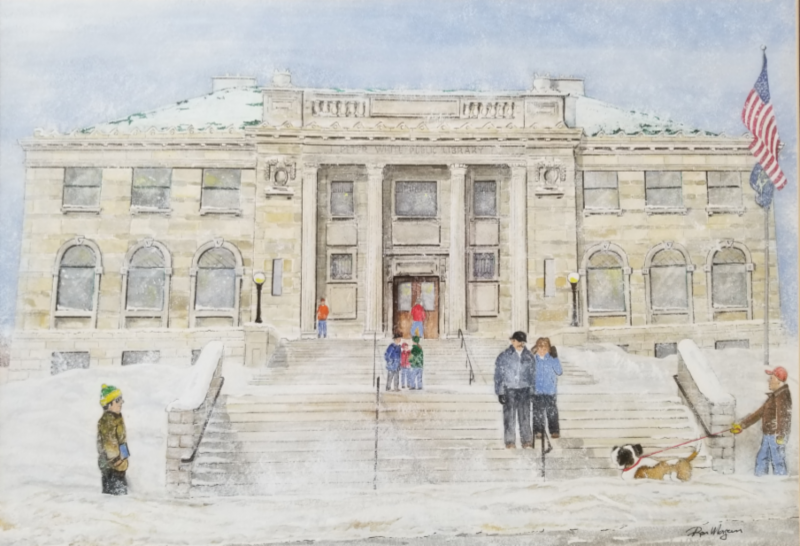 Now is a great time to be thoughtful about where artwork is hung, how it is grouped, and take time to address some of our historic pieces and their conditions. Additionally, we are getting quotes on artwork storage for our circulating print collection. This collection is currently stored in the staff lounge. As soon as we have a better temporary location we will put this collection back out. Sorry for any inconvenience this has caused! 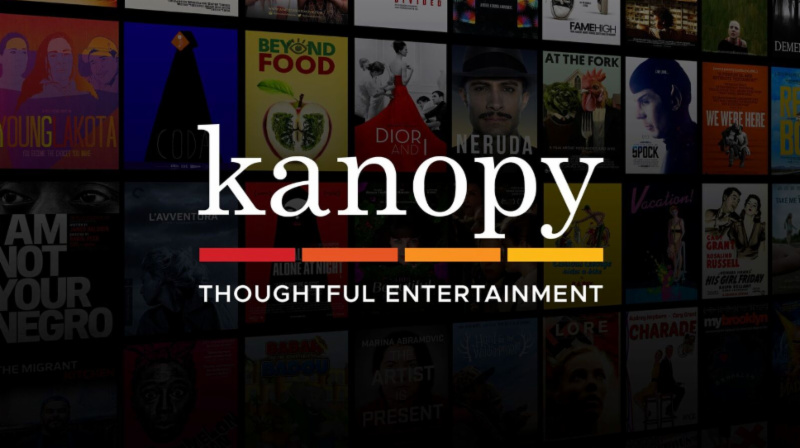 The popular on-demand film streaming service Kanopy is now available for card holders at the Peter White Public Library. 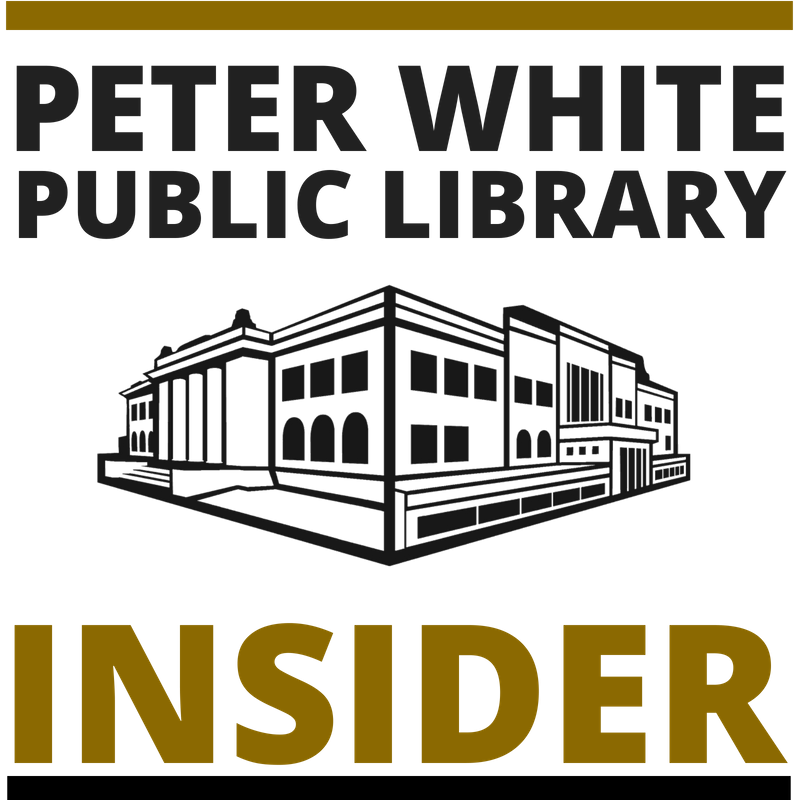 Library card holders can access Kanopy and sign up to start streaming films instantly by visiting peterwhite.kanopy.com . Each card holder can watch up to four films per a month. A valid library card and email is needed to sign up. Feel free to contact us if you have any questions about your account or Kanopy. Films can be streamed from any computer, television, mobile device or platform by downloading the Kanopy app for iOS, Android, AppleTV, Chromecast or Roku. Call the Reference Desk if you have any questions at 226.906.4311.